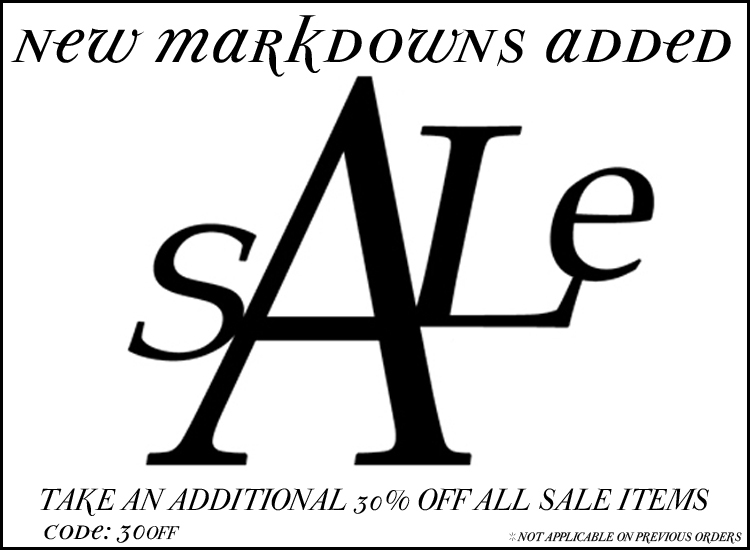 New markdowns have been added to our sale page! Don't miss out, and be sure to take an additional 30% off all sale items by using coupon code 30OFF at checkout! !